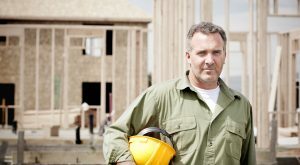 Commercial roofing requires a large amount of skill, experience, and understanding of the unique needs our clients have. There are a variety of bases to cover to ensure quality and longevity, and hiring a roofing contracting company is the best way to go about developing such confidence in your roof. At S & S Roofing, we are here to provide you with the best service to maintain, install and repair all commercial and low-slope roofing. With over three decades of experience in the commercial roofing business, our team is qualified and passionate about providing the knowledge and execution excellence in each project that we complete. Over our 30 years we have worked on thousands of commercial and low-sloped roofs. Earning the award for Firestone Master Contractor, 16 consecutive years in a row, we proudly proclaim this is more than our job, it’s our privilege. We earn our customers’ trust by establishing a relationship with them throughout the entire process. S & S Roofing understands the importance of your roof, and we take this responsibility seriously. Each of our services are designed to help secure your business. We value our customers and the businesses they manage. Our priority is your safety, and we work hard to give you confidence in our services, no matter which one(s) we provide. If you’re looking for low slope roof alternatives, it’s important to understand that a brand new roof is not the only choice you have. S & S Roofing offers roof recovers, simply installing a new roofing system over the current one. There are a variety of options to look into for commercial and low-slope roof solutions, and it’s important to know that your most expensive option isn’t necessarily your best option. S & S Roofing finds what fits your needs best, using the highest quality products. When you choose us, you choose experience, quality, and a trustworthy company who will support your business by supporting your safety. Why S & S Roofing? As we previously stated, we have earned Master Contractor for 16 consecutive years in addition to a wide variety of other awards. Our team is the best in the business, providing top notch customer service for businesses across the country. Regardless of the size or age of your roof, our contractors can handle it. We understand the key to longevity for your commercial or low-slope roofing system is in the maintenance, as a result, we provide annual inspections to ensure your roof is in proper working condition. Moreover, the NRCA (National Roofing Contractors Association) states that the most effective and beneficial way to have longevity of your commercial or low-slope roofing system is through a relationship with the contractors. At S & S, we build our business on relationships with our clients. We build for longevity, using quality products and knowledge based on experience. Our work is our passion, and we will work with you to build a strong, long-lasting roof that will cover you and protect your investment for years to come. Contact S & S Roofing today to schedule an inspection.